2017 was a great year. The RE market recovered beautifully and new homes are being built.....Hallelujah! If you purchased a home in 2017 congratulations, there's a good chance you received instant equity; not as much as you would have if you purchase a few years earlier but you have bragging rights. If you waited, it is time to put that new home plan into action. Whatever your reason for purchasing a new home; financial gain, downsizing, upsizing, vacation home or dream home....now is the time. For years I have proclaimed that "BUYING IS NOT URGENT, SELLING IS"....I still believe that but sometimes even the best of us have to make exceptions to our own rules....this could be that time. Click the lind above for the most recent sales. Orchid Island Golf and Beach Club. Eastof SR A1A, there is a beach front condominium complex. The rest of Orchid is uninhabited islands and home to some amazing wildlife. It is a beautiful location and a great place to live. The population is under 400. Orchid is a town on the Barrier island in Indian River County. As of 2004, the population recorded by the U.S. Census Bureau is 292. It is ranked sixth in Florida locations by per capita income. Most of the town is actually a gated community called Orchid Island Golf and Beach Club. 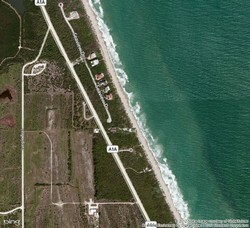 East of SR A1A, there is a beach front condominium complex. 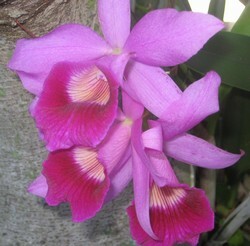 The rest of Orchid is uninhabited islands. Some of the islands are Plug Island, Preachers Island, and Horseshoe Island. North of Horseshoe Island is Pelican Island, the first National Wildlife Refuge in the United States. Running along the town limits (mostly) is the historic, unpaved Jungle Trail. According to the United States Census Bureau, the town has a total area of 1.8 square miles with 0.6 square miles of it water (33.15%). I must say this 20 times a day….”IndianRiver County and south Brevard County simply amaze me”. I firmly believe that coming here from PalmBeach County, Delray Beach to be exact, has given me a different perspective. The natives of this beautiful area just seeit as home….I see it like a wide eyed child in the most amazing real estate “candy”store. The entire area is a cornucopiaof ways to live, places call home and things to do…not to mention home the nicestpeople I have ever met. I recently discovered VIP GrantIsland Estates or VIP Island. I wasblown away yet again. I there onbusiness with my business partner, Karen Christiansen, but just wanted to graba fishing pole, sit on a dock swinging my bare feet and pretend to be Beckyfishing alongside Huck Finn. Here is thestrange part…..I hate fishing…. VIP GRANT ISLAND ESTATES appealsto a unique audience……This is not a traditional home or vacation retreat. Its appeal is romantic and primal; not atall mainstream. You can only reach theisland by boat…How cool is that? It isjust minutes off the shore from Grant/Valkaria mainland but once you arrive onthe island you feel your entire body exhale. The passing of time is slowed and, if you are like me, you are introduced to your childish wonderagain…You can bring your laptop and cell phone and work but your office is likeno other…explore the island in you flip flops and let nature dazzle you. Workon an enviable suntan while renewing your soul by just appreciating yoursurroundings. There is nothing like a hug from nature to inspire an artist orrenew relationships with family and friends….Children will thrive here. 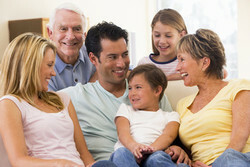 Memories with family and friends will be madeand cherished for a lifetime. Simplicity reigns ......nature is king and theliquid views are both relaxing and renewing. If nature is your first love thanthe birds, fish, dolphins, trees and river will speak to you. The island has electric but nocars. You get around in your flip flopsor a golf cart. AGAIN HOW COOL ISTHAT!!! It is what the island does nothave that calls to me……..less is truly more. In our short three hour stay wemet an orchestra conductor from Manhattan and a song writer fromNashville. Not at all surprising…theycome here to get inspired and renewed. The real world is physically and mentally exhausting for all of us. We all need permission to just be. Looking for something differentand exciting? Looking for something toinspire and renew you? Looking forsomething that the entire family will enjoy…you do not have to look too far. You have a true island treasure just upUS1. Channel the adventurous Huck Finnor Becky in you, or perhaps you are more Ernest Hemingway or Jimmy Buffett andlook into investing in VIP GRANT ISLAND ESTATES. This investment will return more thanmoney. The biggest return will be inpriceless memories. This is Mary Lou Ciambriello,Realtor with Coldwell Banker wishing you a lifetime of priceless memories. It was on a hot afternoon in Tallahassee in late May of 1925 that Representative Anthony W. Young -- later to become State Senator -- waited for the outcome of a vote from the Florida Senate. His bill, which would finally remove Vero Beach from the politics of Fort Pierce by creating the new county of Indian River, had initiated one of the most bitter fights ever waged in the Senate. Widely separated by political and cultural ideologies, the citizens of Vero Beach had for years resented the control that Ft. Pierce politicians exerted over their community. Prior to the vote, delegations – both for and against -- flowed in and out of Tallahassee. But on that day in late May, Young’s bill passed by a vote of 23 to 9. Long before that May afternoon, Vero Beach and the surrounding areas which would eventually become Indian River County were already thriving and forging their own destiny. The flow of settlers began about the mid 1840s according to the territorial census, and by the end of the century, new communities such as Sebastian, Wabasso, Gifford and Roseland had already been established. The greatest impetus to growth during these years can be traced to two events. The first was the creation of Henry Flagler’s Florida’s East Coast Railroad (FEC) which began service through Indian River County in 1893. It provided fishermen and growers of citrus and vegetable products with the fastest shipping possible to the northern markets. The FEC also accelerated land development. Companies purchased large tracts from the railroad (which had acquired the land from the state as part of the deal to build the railroad) and laid out entire cities - Fellsmere being the most familiar to county residents. A spur of the railroad was built linking Fellsmere to the main track in Sebastian. The next development which impacted growth was the creation of Drainage Districts in 1905 which were part of the state sponsored Land Reclamation Program. The Drainage Districts, as their name stated, would drain millions of acres of wetlands turning these uninhabitable areas into highly productive real estate. Two of the largest privately funded companies were in Indian River County – The Fellsmere Farm Company founded in 1910, and the Indian River Farms Company founded in 1912. As time would later prove, the creation of the Indian River Farm system under Herman Zeuch’s direction was destined for success as the design was better able to deal with Florida’s unpredictable weather, particularly rains, than the Fellsmere project of E. Nelson Fells. In July of 1915, an unusually heavy rain fell -- 13 inches in 24 hours. The storm flooded Fellsmere’s drainage ditches and nearly put the company and the town out of business. The heavy rain had little effect, however, upon Vero Beach’s drainage system. Forefront among the industries born in that time was Indian River citrus which rapidly became the benchmark by which all other citrus products were judged. Alf B. Michael established Orchid Island Growers which set the standards for citrus production making Indian River County citrus the leader in the industry. While the citrus industry was hitting new heights, other industries were forming. In 1916, Jacksonville banking barons Bion H. Barnett and William D. Barnett, in association with former Florida Governor Francis P. Fleming, organized the Sebastian Ranch Company which would handle produce, dairy and cattle. Another enterprise, the Sebastian Land Company initiated timber and naval stores operations near Sebastian in 1919. The extraction of turpentine from pine forests near Wabasso and Sebastian contributed to Florida’s naval stores industry. On the urbanization end, Vero began to grow. The town was laid out in 1914, and during the next 15 years, nearly four hundred miles of canals would be surveyed and dredged, and roads would be built. In 1917, the first movie theater, the Strand, was opened. The first power plant was built in 1918 by privately owned Vero Utilities Company. Unable to keep up with the need for electricity, Vero Utilities sold the plant to the City of Vero in early 1920. During that time, when electricity was a new commodity, it was common practice to run it only at night, and only on Wednesdays during the day for the convenience of women who had electric irons. It was also common when electricity failed, for the movie theater patrons to go over to the plant and help the engineers start the engines. In 1919, Vero’s first bridge was built connecting the mainland to the barrier island. The first newspaper, the Vero Press, was organized in March 1919 by Tom Campbell and Paul Nisle. The population growth and the emergence of urbanization encouraged Vero and other communities in the area to incorporate. Vero was chartered as a town in 1919, and while many slogans were suggested to attract tourists and permanent residents, the one that has remained since then is "Vero, Where The Tropics Begin." How Vero got its name can be found on the Library's genealogy website and the Reference Room (Vero Beach City History). As the era ended, the railroad offered a faster mode of travel and broadened the markets for citrus and produce. It also opened up venues for passenger travel. The drainage district program created better agricultural lands and industries. Cities grew and the face of Vero Beach and Indian River County changed forever. Post World War I Vero began to experience incredible growth. While the railroad continued to expand its operations, the emergence of the automobile had even greater impact. Highways were created linking cities, and even the most remote regions of the state were now accessible enabling people to move about as never before. Bridges spanning the Indian River gave rise to new residential and commercial development on the barrier islands. In the early 1920s, the Riomar Country Club was built on the barrier island by some Ohio residents who had discovered Vero's natural beauty. Elegant vacation homes surrounding the country club established the area as a premier winter vacation resort. Hotels were constructed, golf courses opened, and clubs and attractions were developed to entertain the winter visitors. The Vero Beach Yacht Club was incorporated in 1926. The famous McKee Jungle Gardens was organized in 1925 and formally opened in 1931. In 1924, a newly built movie theater opened replacing the Strand, an older wooden structure established in 1917. The new Florida Theater was an architectural gem in the Mediterranean style that had over 600 seats and a Rotoplayer organ which provided music for the silent films. By 1925, the theater would become the pivotal point in Vero’s fight to remove the town from the grasp of St. Lucie County politicians. After years of philosophical and political differences, it was St. Lucie’s blue laws that brought everything to a head. Besides forbidding the sale of any goods on Sundays, the laws also forbid the showing of movies. In spite of the laws, the theater continued to operate on Sundays. To enforce the law, sheriff’s officers from Fort Pierce angered citizens by coming in, turning off the films and ordering patrons to leave the theater. The situation became the final weight which would crack the political stronghold St. Lucie County exerted over Vero Beach. Angry businessmen persuaded State Representative Andrew W. Young (who also happened to be Vero’s mayor and one of the movie theater owners), to sponsor a bill which would remove Vero from St. Lucie County by creating a new county. After rigorous debate, on that hot afternoon in May, 1925, Indian River County was born, and Vero became the county seat. 1925 would later be remembered for three things: the formation of Indian River County, Vero’s name being changed officially to Vero Beach, and the beginning of the end of the Florida land boom. The '20s were possibly the most important era in the development of Florida. It was post World War I. The automobile had been invented which enabled thousands of people from various walks of life to visit or migrate to the state in carloads. Corporations were on the rise, and people from all classes had money -- money for travel and investments. It was a time when almost anyone could get rich, and Florida land was one of the ways. If one didn’t have cash, credit was easy to obtain. Many who bought land in Florida never visited the state, but purchased property through ads. Forbes Magazine warned that Florida land prices were not based on anything solid such as the value of the land. All that was needed to price a parcel was someone willing to buy it. And in 1925, the inevitable began to happen. Land prices had soared to such heights that people stopped buying and those who held land wanted to sell. The hurricane which occurred on September 18, 1926, devastated Miami and ended the land boom. If things weren't bad enough, the hurricane of 1928 swept through the northern part of Palm Beach County and created a tidal wave out of Lake Okeechobee. On the heels of the land bust, the hurricanes, and the collapse of the stock market in 1929, many of the large cities in Florida were devastated. Vero Beach and Indian River County were not as affected by the 1928 hurricane as areas to the south. And while the land bust reversed the fortunes of many residents and businesses, the area was still a haven for many from the misery in other parts of the state. Scenic vistas along the Indian River and depressed land prices attracted some wealthy investors. At Riomar, a small building boom began in 1928. During that time, citrus production remained high as Indian River County’s agricultural business economy began to emerge. The Vero Beach Journal, organized by J. Clemment Brossier, Robert Brossier, and John F. Schumann, published its first issue in December 1925. In 1927, Schumann’s son, John J., took over the newspaper and consolidated the Vero Press and the Journal to form the Vero Beach Press-Journal. In the transportation area, airplanes were coming into use for commercial service and by the close of the decade, a site for a local airport was decided upon with the help of Cadillac dealer Bud Holman. For many businesses in Vero Beach, the early thirties were a slow road back to prosperity. Construction had been halted on many projects, and other businesses went into receivership. But in spite of the Florida land bust, people continued to arrive and the population in Vero Beach and Indian River County grew, placing Indian River County 6th in the state. Roads were built to accommodate the increasing population and Route 60, which linked the Atlantic Ocean with the Gulf, became a heavily trafficked highway. With tourists and commerce on the move and local agriculture expanding, the waterways were once again seen as a viable alternative for transporting goods and people. Deepening of the Indian River Lagoon was taken over by the Army Corps of Engineers, and continuous attempts were made to create a permanent pathway connecting the ocean and the Indian River Lagoon at Sebastian. This focus on the waterways would benefit commerce as well as private boaters who contributed a great deal to Indian River economy. With transportation being the forefront issue, the county’s first airport was dedicated in 1930. Commercial service began in 1932 when Eastern Air Lines began using the airfield for refueling stops. In 1935, EAL instituted passenger and mail service from Vero Beach Airport. The era had its leaders who impacted the formation and growth of Indian River County. One of the most memorable was Waldo Sexton who was highly involved in the formations of the citrus, dairy and real estate industries beginning back in 1914. He contributed to the resort image of Vero Beach with the Driftwood Inn, which in 1935, was a two-story rambling oceanfront hotel and is now listed on the National Register of Historic Places. Sexton, together with Arthur G. McKee, a former engineer who developed an interest in tropical plant culture, created the world famous McKee Jungle Garden just south of Vero Beach. To help cushion the effects of the depression, Franklin Delano Roosevelt’s New Deal created construction projects that put people to work and bettered the communities. Vero Beach and Indian River County benefited from these projects which included the construction and installation of sidewalks, parks, streets, and water and sewer lines. The County Courthouse was completed in 1937 with assistance from the Public Works Administration under the New Deal. The Vero Beach Community Building, dedicated in 1935, was also a product of that time and the U.S. Government’s assistance. It currently houses the Indian River Citrus Museum and is listed in the National Register of Historic Places. The Press Journal building also received a face lift in 1937. Archeological investigations were also funded under the New Deal which contributed to Spanish findings and the Spanish Fleet & Salvors Camp Site being listed in the National Register of Historic Places. During the 30s, Indian River Memorial Hospital, the area’s first hospital, was organized by Nurse Garnett Radin, Dr. E. Bacon Hardee and funeral director Charles Cox. The first location was a 2-story tourist home south of the city limits which opened May 12, 1932. It had two more sites before arriving at its permanent location on 37th Street between US 1 and Indian River Boulevard in the 1980s. By the end of the decade, war clouds were gathering. Some far sighted local citizens initiated further development of the Vero Beach Airport facility by installing permanent runway lights and adding radio and teletype machines. In 1939, using Public Assistance workers, the runways were extended and one year later the Civilian Aviation Administration spent an additional $250,000 on additional improvements. And the airport, which came into being at the start of the decade, would become a major player as the U.S. became involved in World War II. In the early forties, the focus was on war. In 1942, the U.S. Navy notified Vero Beach officials that it had selected their municipal airport as the site for a Naval Air Station and purchased an additional 1,500 acres surrounding Vero Beach Airport. The base was formally commissioned in 1942. Pilot training at the NAS began in February 1943. At the peak of its activity, the NAS held 1,400 servicemen and 250 planes. After the war ended, the NAS was reduced to a skeletal staff. Then in 1947, the Navy closed the Station and returned the airport to the city. The end of the war brought about tremendous growth in Indian River County. Soldiers who had trained here during the war returned to make it their home. The area still had wide open expanses of undeveloped beach front property, inexpensive housing, relatively low property taxes and its warm climate. At the time, the county had 9,000 residents and Vero Beach, 3,600. The end of the war found a climate for tremendous business growth. Advances in technology created new markets for citrus. A product created for war time, frozen orange juice concentrate, would revolutionize the citrus industry. 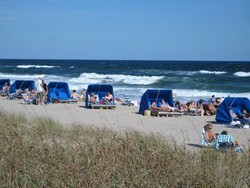 Tourism returned to dominate the economy and life in postwar Vero Beach and Indian River County. Indian River cattle ranching which had its roots in the early part of the century came of age during the post war years as cattle shared the land with oranges and grapefruit. One of the highlights of the post-war era came in 1948 when the Brooklyn Dodgers selected Vero Beach as their spring training site. A 109-acre tract, part of the naval air station, was developed into a complex of practice fields, dining, housing and training facilities. The dedication ceremony for Dodgertown was held in March of 1948. Four years later, the stadium was renamed Holman Stadium in honor of Bud Holman who was credited with bringing the Dodgers to Vero Beach. Agriculture and cattle ranching came into its own. Housing flourished both on the mainland and barrier islands. Schools and churches were developed. Recreational areas and parks began to show up all over the county. New bridges were built across the Indian River Lagoon. However, the biggest contributors to growth were – mosquito control efforts by the government and the adapting of air conditioning for residential use. In 1957 Piper Aircraft arrived. Vero Beach was selected for their research and development center which was built on the grounds of the former naval air station. In 1961, Piper moved its administrative and manufacturing operations from Pennsylvania when a 150,000 square foot addition was completed. By 1967, Piper had expanded its facility to eleven acres and its work force to over 2,000 employees. Construction of the A1A bridge over Sebastian Inlet began in 1962. A 200 foot wide, 11-foot deep channel was excavated to the east of the proposed bridge on A1A. The bridge was opened in February, 1965. During this time, the cultural side of Vero Beach came of age. The Vero Beach Theatre Guild held its first production in 1958. The Vero Beach Concert Association opened its first season in 1966-67. Riverside Theatre opened its doors in 1974, and the Center for the Arts on January 31, 1986. As the century came to a close, growth continued. All of the barrier islands south of County Road 510 to Vero Beach were developed or under development. Ninety-eight percent of Vero Beach was built out. To the north, houses were appearing in the once wooded areas of Sebastian, and Fellsmere once again experienced growth. 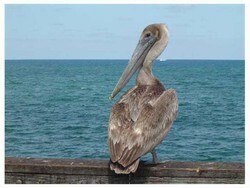 The seeds of what make Vero Beach and Indian River County unique began back at the turn of the century when one of the first Sebastian settlers, Paul Kroegel became concerned about the extermination of brown pelicans. Together with other ornithologists, he asked the Federal government for assistance. 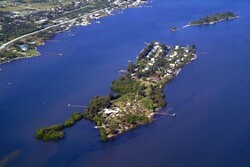 In 1903, Pelican Island in the Indian River Lagoon was designated a federal preserve by President Theodore Roosevelt. This landmark move created the country’s first wildlife refuge. In the years to follow, city layouts that incorporated parks and embraced a philosophy to re-use rather than demolish dominated development. With history and preservation woven into its fabric, Vero Beach and other towns in Indian River County did not follow the gospel of urban development that has dominated much of the rest of Florida during the last half of the 20th century. Careful planning and preservation has, at its heart, the people who created it; people who had foresight, a love of land, and the determination to see dreams become reality. While the automobile and increased tourism created ribbons of highways overlaid with strip malls in other parts of Florida, Indian River County restricted these developments to planned, designated intersections. Like a patchwork quilt, residential areas and green space were incorporated into the plan making the areas visually appealing. Organized growth rather than unfettered urban sprawl is what helps Indian River County and Vero Beach retain the ‘small town’ flavor. A sense of history threads itself throughout all of Indian River County. Ever-watchful historical societies continue to guard the cities and counties architectural character. When the National History Preservation Act was approved by Congress in 1966, Vero Beach and Indian River County quickly began efforts to have buildings and places registered. Today, old buildings worth saving are restored … and sometimes moved if necessary. All of the towns as well as Indian River County have their own preservation societies. Florida In The 1920s, from The Floridians, a Social History of Florida, THE FLORIDIANS is an interactive Florida history text book with photographs, maps, sample questions, and workbook pages. Created by: M. C. Bob Leonard, Professor of History, Hillsborough Community College, Tampa, Florida. The Overseas Railroad: A Man and His Dreams, sponsored by www.Railfan.net a Railfan Network. The George Keyes Collection on the history of the Sebastian River area. These archives can be viewed online at the Sebastian Library. Past Sales in Sebastian and the neighboring area. Home to lots of very happy people and six old grouches". Sebastian is known for having rare antiquities wash upon its shores. I have not found any but people come from near and far to try their luck. Sebastian boasts parks, public and private schools, an unobstructed view of the Indian River Lagoon along its dazzling riverfront district. The beaches are close by. 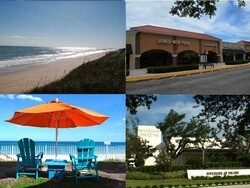 The year round average temperature of 73.4 degrees, a police department, shops and restaurants, many churches, several City festivals each year, monthly arts and crafts shows, concerts in the park, a municipal golf course and airport, and a central location with easy access to I-95 and the Florida Turnpike. Sebastian Inlet State Park is the premier saltwater fishing spot on Florida's east coast; favoured by anglers for catching snook, redfish, bluefish, and Spanish mackerel from its jetties. Surfing is also a popular recreation and several major competitions are held here every year. The Indian River Lagoon National Scenic Byway, a nationally designated byway runs through the Sebastian River Area. The Indian River Lagoon, which is North America's most biologically diverse estuary, the St. Sebastian River, Blue Cypress Lake, and the Stick Marsh are fishing hotspots and a boater's paradise. Sebastian hosts one of the most spectacular skydiving views in the world. Located at 100 East Airport Drive, next to the Sebastian Municipal Airport Administrative Building, the airport offers an opportunity for children to observe aviation opportunities. In this park, you will find an area for picnics and observation. Bring your little aviation enthusiast were they will have opportunity to “fly” the Space Shuttle or other aviation related play equipment. In fact, you may even witness Sky Dive Sebastian in operation and see the many parachutists landing as they fall from the sky. Located on 100 Brushfoot Drive the Sebastian Municipal Golf Course is an 18-hole, championship golf course that provides unique challenges and rewards for any level of golfer. The Sebastian Municipal Golf Course offers PGA professionals, practice facilities, fully stocked pro shop and full service restaurant. Riverview Park is the pride of the community and gathering point for the City of Sebastian. 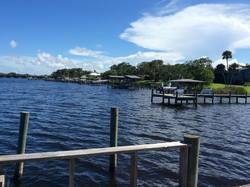 Located at the corner of US Highway 1 and CR512, Riverview Park is located along the shores of the Indian River. The park host major events and concerts such as the Annual Clam Bake Festival, Pelican Island Wildlife Festival, Sebastian Fine Arts and Music Event, the 4th of July Celebrations and the seasonal Music in the Park Concert Series hosted by the Sebastian Chamber of Commerce. With its mix of open space and oak covered walkways, Riverview Park offers panoramic views of the River and recreational opportunities for everyone. In additional to the major events that are held at Riverview Park, you will also find the Splash Pad, Veteran’s War Memorial, sand volley ball courts, picnic pavilions, and the “Twin Piers” for observation of the river or fishing. Riverview Park is also the starting point for the scenic walkways which follow along the shores of the Riverfront District. If you would like to rent pavilions for special private parties and events or receive more information about Riverview Park, please call Chris McCarthy at 772-228-7054. The Yacht Club is one of two boat ramp facilities provided by the City of Sebastian. This dual concrete ramp, provide easy access into and out of the Indian River (Atlantic Intercoastal Waterway). The ramp is located just south of the Main Street Boat Ramp; also providing quick access across the waterway to the Sebastian Inlet and the deep waters of the Atlantic Ocean. Handicapped Parking for trucks and trailers is available on site and significant trailer parking is available just across the Street at the City’s parking area in Riverview Park. The boat ramp also has fishing docks, piers and a fish cleaning station. In addition to the boating facility, the facility also provides the “Yacht Club” for meetings and events. Default preview for : Iframe In 1715, several Spanish ships loaded with treasure (known as the 1715 Treasure Fleet) encountered a storm off the shores of the Treasure Coast and were lost. It is estimated that only a portion of the sunken treasure has been found. The value placed on the treasure lost from the 1715 fleet has been estimated at over $500 million USD. VLE (Vero Lake Estates) is the largest subdivision in Indian River County. It was developed in 1950's but because it was located “so far west” the subdivision did not develop as predicted. It was a huge failure. A few homes were built on the 6000 building sites. Since then building boom which busted and now booms again, about 2600 homes have been built in Vero Lake Estates; lots are from 1/4 acre to 5-acre lots. The biggest drawback is no longer the location; in fact it is a prime location. The dirt side roads are being addressed but it will be some time before the road system is completed in the entire community. As it turns out Vero Lake Estates is perfectly located…..One could say all roads lead to VLE. Homes are still affordable. VLE has access to the best schools in the county and our schools are all nearby……..
At the corner of 521 and 510 you will pass cows in pastures on your short drive to anew PUBLIX shopping plaza. Take 512 to a short drive to I95. Looking for the beach just take 510 east and enjoy the most beautiful ride over the Indian River. The Library is on 512 and you will find everything you need just around the corner. Put yourself in the car and drive about 10 miles to the Vero Beach Discount Mall or 12 miles to the Indian River Mall. What makes VLE special? I guess everyone has their own answer; I love it because my home is nestled in trees and I do not mind the very short drive on a dirt road or the lack of neighbors and cars on my road. I have a true country feel and yet live close to all that matters. It is the best of both worlds. Others love it because they have room for their toys; boats, dirt bikes, motor homes and the like. Children have room to roam on their bikes, skateboards and play. There are lots of families and lots of neighbors looking out for one another. One homeowner cleared a lot and made a baseball diamond for his children to use as well as neighbors. Joggers line the roads, as well as dog walkers and neighbors out for a stroll. You will see Gopher Tortoises It is extremely common to see cars stop to assist the tortoises across the road. Hawks, rabbits, foxes and the list grows from there. Indian River residents in general love nature and animals and VLE is no exception. I really wanted to give you some history on the area know as LITTLE HOLLYWOOD but there is very little if not anything in the web. I did find some information compiled by Barbara Maltby in 1992 that you should find very interesting. It is tltled LITTLE HOLLYWOOD. Please click the link and enjoy the read. Little Hollywood is a subdivision of Micco and was originally platted by P.D. Conner in 1949. It consisted of 30 lots along the St. Sebastian River. In 1953, the first addition was made, adding all of the land west of Riverview to the railroad and north to Lakeview Drive. Â Margaret and Bruce Harlan bought the remaining lots from the Conner’s in 1954. Â There were less than a dozen homes in Little Hollywood at that time. Â The Harlan’s eventually sold their land interests to Ken Atha who arranged for zoning regulations for this community and became one of the first realtors between Vero and Melbourne. The Harlan’s and the Atha’s both had houses built by a neighbor, W.R. Albright on Riverview Drive. The back of these houses bordered the canal that formed the River Oak Lane Island. Margaret Harlan said they all had such a good time in Little Hollywood in those early days. A There were so few residents and everyone was friendly and helpful. The Micco Fire Department had its beginning in Little Hollywood atthe Harlan house. A Bruce Mc Mann and Jim Bricker (both 15 years old at the time)urged their fathers to start a fire department. They were too young to do it themselves.The county commissioner and the district Fire Chief plus 34 others attendedthat first meeting. A Bruce Mc Mann Senior accepted the position as the firstFire Chief of Micco. LITTLE HOLLYWOODcompiled by Barbara Maltby in 1992. Don Blandings photos of Florida. Frank Smith was a member of the Florida House of Representatives in the sessions of 1869, and 1870. He also served as Clerk of the Court for Brevard County. He operated a store and post office at Fort Pierce which, at the time, was the only settlement for 37 miles north of Jupiter. He was the first settler of Micco, Florida in 1877. His residence near the old Indian River Inlet supports the conclusion that the area of the original Indian River Colony, Susannah, near Fort Pierce, was Brevard's early county seat. Frank Smith was the first settler in 1877. In 1880, a post office was established under the name Chipco, however it was discontinued after only a year. It was re-established under the name Micco in 1884. Vero Beach Sports Village AKA "Dodgertown,"
After six decades in which it was known as "Dodgertown," one of Florida's most famous sports facilities now has a new name -- Vero Beach Sports Village. The iconic 65-acre complex, originally a U.S. naval base, enjoyed a long run as the March home of its namesake franchise. The Dodgers relocated their Spring Training operations to Arizona following the 2008 Grapefruit League campaign, and Minor League Baseball took over day-to-day operations in April 2009. Holman Stadium is a baseball stadium in Vero Beach, Florida, built in 1953 from an abandoned Naval base, to accommodate spring training for the Brooklyn Dodgers as part of a complex now called Historic Dodgertown. FORECLOSURES - THE MARKET WILL RECOVER!! This is a very interesting market that we in. A lot of people are in the RED. to watch out for you and your interest. The following information has been complied by me off of Google. There is not better time to buy then now. If I can be of service, please call me. I am the agent's agent. Frank Smith was the first settler in 1877. In 1880, a post office was established under the name Chipco, however it was discontinued after only a year. 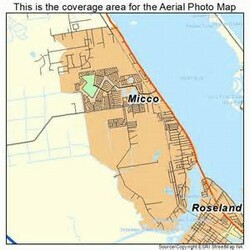 It was re-established under the name Micco in 1884. In 1993, the post office was merged with the Sebastian post office. They are in two separate buildings next to one another, but one is merely a counterpart of the other. As of the census of 2000, there were 9,498 people, 5,212 households, and 3,163 families residing in the CDP. The population density was 1,009.9 people per square mile (389.7/km²). There were 6,400 housing units at an average density of 680.5 per square mile (262.6/km²). The racial makeup of the CDP was 98.82% White, 0.24% African American, 0.15% Native American, 0.09% Asian, 0.13%Pacific Islander, 0.18% from other races, and 0.39% from two or more races. Hispanic or Latino of any race were 1.32% of the population. There were 5,212 households out of which 5.2% had children under the age of 18 living with them, 54.6% were married couples living together, 4.2% had a female householder with no husband present, and 39.3% were non-families. 34.4% of all households were made up of individuals and 26.1% had someone living alone who was 65 years of age or older. The average household size was 1.82 and the average family size was 2.23. In the CDP the population was spread out with 5.9% under the age of 18, 2.0% from 18 to 24, 9.3% from 25 to 44, 24.2% from 45 to 64, and 58.6% who were 65 years of age or older. The median age was 69 years. For every 100 females there were 87.4 males. For every 100 females age 18 and over, there were 86.7 males. The median income for a household in the CDP was $27,673, and the median income for a family was $34,645. Males had a median income of $25,638 versus $20,352 for females. The per capita income for the CDP was $20,649. About 5.1% of families and 10.1% of the population were below the poverty line, including 37.3% of those under age 18 and 6.1% of those age 65 or over. Once again this most amazing CANDY STORE called FLORIDA’S TREASURE COAST has given me another opportunity to be braggadocios. 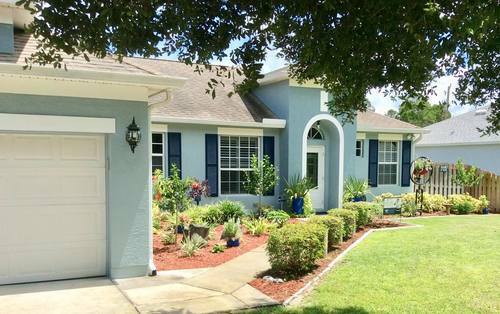 If you are an Equestrian or simply want to live like a “Country Squire” it is imperative that you make the community of DEER RUN in Palm Bay a must see. It is located in unincorporated Brevard County. Deer Run is ready made for a horse enthusiast or those of us that want to live like a “Country Squire”. Currently there are 150 homes on 2.5 acres or more with 70 horses that enjoy “happy” trail riding. Deer Run has a very low HOA and for that small fee you have the use of a community area. 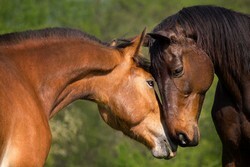 Several times a year horse clinics and seminars are held for the horse enthusiast. Community activities include family events like “Trunk or Treat” for the children. What makes this community so special is its affordability. Themisconception that equestrian living is only attainable for the rich and famousis squelched here in Deer Run. With homeprices starting around $400,000 and moving up from there that theory is put torest. The grounds are magical and the accommodationsfor your steeds are first class. DeerRun is an Equestrian Community affordably priced with an upscale appeal andappearance. Thank you Brevard County, for scenic Deer Run….. THE ONLY EQUESTIAN COMMUNITY in all of Brevard County….. It shoud be noted that homeowners are restricted to 1 horse per acre and the average homestead will only accomidate 2 horses. This is a county regulation as well. to enhance the tranquil and refine lifestyle Sea Oaks is known for. Sea Oaks Beach & Tennis 772-231-2667. Cardiovascular & Strength Training Equipment. July of 2016 I wrote about Vero Lake Estates. That article received lots of positive feedback from Realtors and VLE homeowners grateful the record was set straight. There are still misconceptions about VLE. Pat and I live in Vero Lake Estates. We didn't start our "hunt" in VLE. 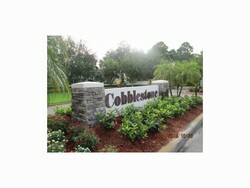 We had a signed contract in 2009 for $390,000 for a home to be built in a gated community. Things were progressing nicely. We chose cabinets, flooring, finishes and colors. The builder spoke to us in person, prior to starting construction and told us that our lot was going to be made smaller to allow more homes to be built. He didn't have another lot that compared so our 10% deposit was refunded. Lucky us; months later the market crashed. Our priority was to be close to our family. Pat and I began a two year home search in Indian River County. We combed this county almost every week looking for something that would fit our “must haves”. Pat, a chef, needed the possibility of a big kitchen and a 2 car garage. I needed a Jacuzzi in the master bathroom. We needed a fenced yard, something we forgot to consider when we purchasing in that gated community. Fences were not permitted. Our Delray home was in the city on a very busy street. I required a quiet road. Our search/research kept bringing us back to VLE, despite the bad things we heard. The Realtor in me and the investor in Pat concluded VLE would provide a huge quick growth in equity. VLE is close to a new Publix. Access to 95, 66 Ave, 510, 512, the beach and the river were obvious pluses. The serine countryside spoke to us. Confident that any home purchased in VLE would gain equity instantly we began a vigorous hunt. The prices were still very depressed leaving money to invest in a fence, quality upgrades and very necessary repairs. We were conservative with upgrades, doing just enough in case we regretted our decision and decided to sell. We recently have enhanced our initial upgrades. The master bath is completed and Pat's kitchen is in the works. There are downsides. Most side roads are dirt, including ours. Most homes have well water, including ours. I don't see it as a downside; some do. The upside is no water bill. Our FPL bill is very reasonable. The location to schools is perfect. Schools were not our priority; our children are grown but an important consideration. Good school location adds value. VLE is minutes to the Aquatic Park and the Sports Center. Investors took advantage of the depressed market; purchasing homes which they rented. Renters aren't invested in a community; for a while there were issues. That is changing rapidly. Investors are selling their rentals and homeowners are replacing renters. Homes are still affordable. Bargains are disappearing but still out there. VLE has 2700 homes; only 27 for sale. At onetime there were hundreds. In the market for a home? Look at VLE. Drive around; see the many beautiful homes. Have your Realtor show you VLE. There are always OPEN HOUSES on Sunday; take a Sunday to investigate. Speak with a knowledgeable VLE Realtor. Several, like me, live in VLE. Remember the home we had a contract on; values are recovering; they're in the mid to high 200's. Its important to love where you live. We love VLE! Chances are you will too. I remember the first time I saw the community of Marsh Island Club. I was coming home from the beach on 510 heading west. As I hit the summit of the bridge crossing the Indian River I glanced to the north and saw this cluster of elite homes. I was spellbound. It looked Fairytale Island. The roofs glistened liked precious jewels and “boats” bobbed gently in the protected harbor. Homes on Marsh Island are located on the river, harbor or a salt water lake. Marsh Island is surrounded by nature, amazing wild life, liquid views all while living in harmony with nature quietly embracing the community. Each home is striking and is required to meet the high standards of the ARC Board. The location is one of a kind with a "Fairytale Charm" implying a well deserved "HAPPILY EVER AFTER". The clubhouse is the perfect extension of your home. Freshen up your party list; you will be entertaining in style. Spoil your guests and entertain like “The Royals”. Cater a champagne and caviar Black Tie Affair or go all American with a backyard BBQ. The clubhouse is a amenity/setting you will enjoy using. It is for the exclusive use of Marsh Island Club. I know of no other community this petite that avails its residence a clubhouse of this caliber. There is a harbor with a Harbor Master….currently all the slips are either rented or privately held. 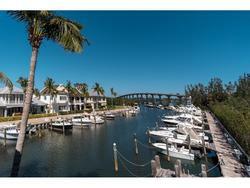 Dave Tate is the Marina Manager at Marsh Island Club and can be reached at 772.473.8398. Marsh Islanders have secret….there is a boardwalk that leads you out to the river. At the end of the boardwalk I would describe a roomy backyard porch perched on the river. Start your day doing yoga on the river’s edge, grab that best seller and enjoy a great read or if you are a workaholic, like me, take your lap top and give yourself an office like no other. Nature is inspiring and rejuvenating even when you are working. Binoculars are suggested. The art of living is about incorporating the little things down to the smallest of details. Marsh Island Club has a Kayak Launch and supplies kayaks, just for the Marsh Islanders. What better way to unwind then kayaking among the dolphins. 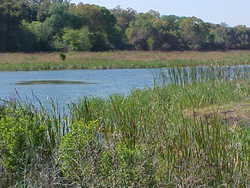 Marsh Island is combines living accomplish with respecting nature. It is a Fairytale. Photos of Marsh Island and the nearby area. Let's Hit the Beach, Vero Beach to be exact. 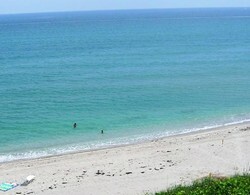 The link below will give you a brief tour of Vero Beach Oceanside. Indian River and Brevard Counties is my REAL ESTATE CANDY STORE.